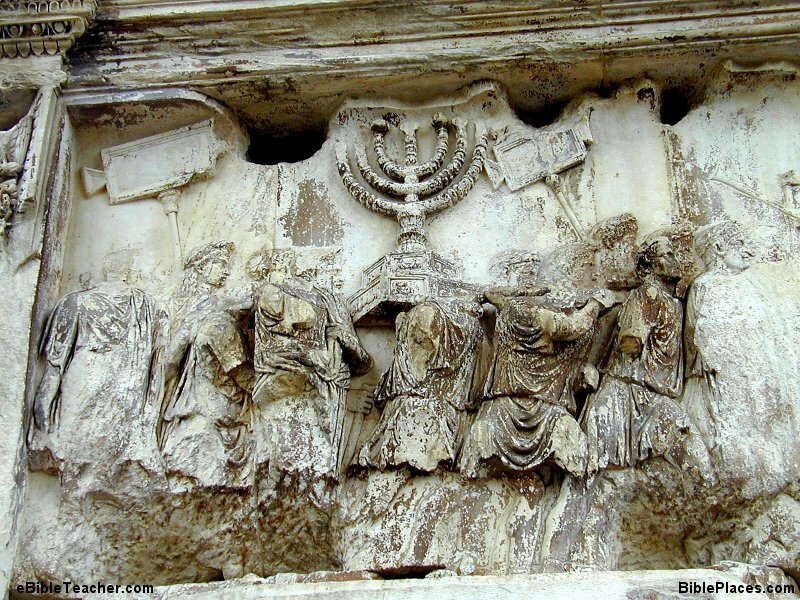 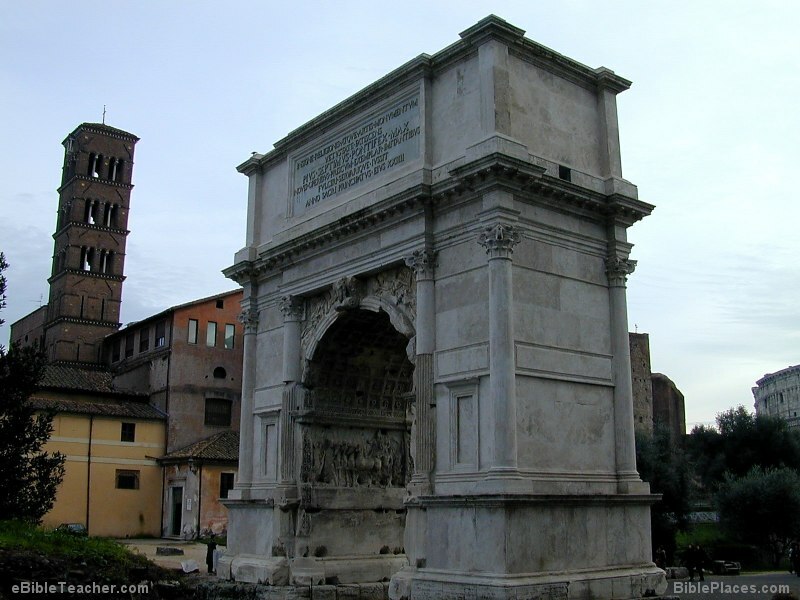 This image inside the Arch of Titus is believed to show the Lampstand taken from Herod's temple. 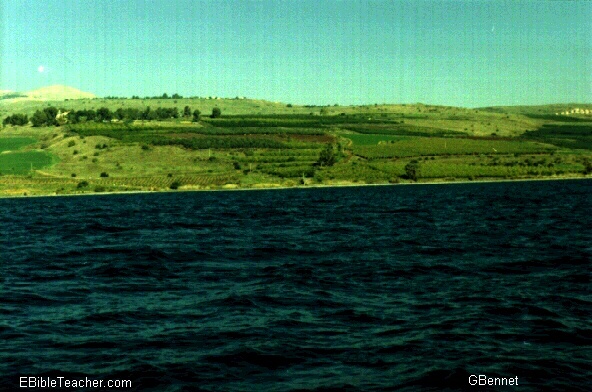 This was the center of the world's most powerful government. 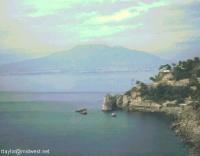 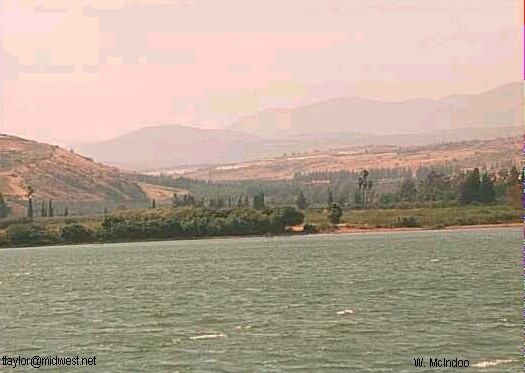 This is the coastline that Paul would have seen when he sailed to Rome. 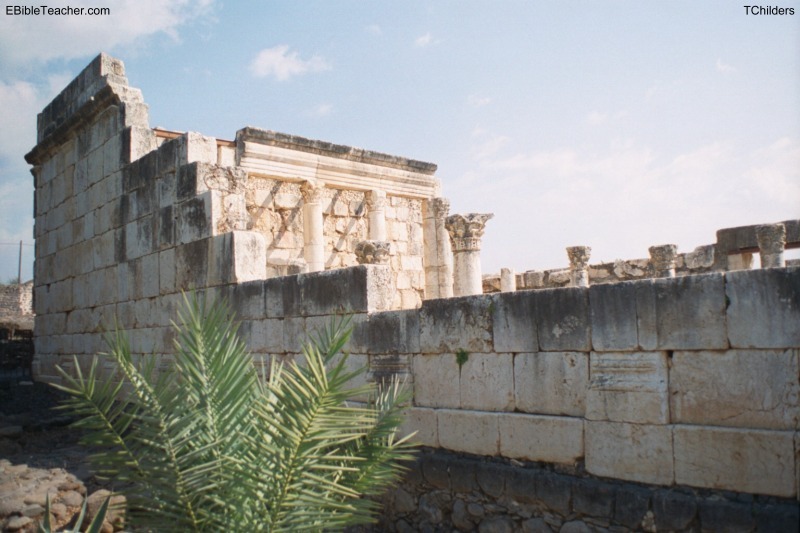 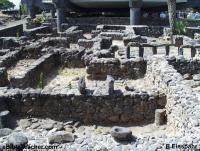 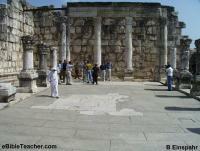 This synagogue ruin stands on the site of the synagogue in Capernaum in which Jesus lived. 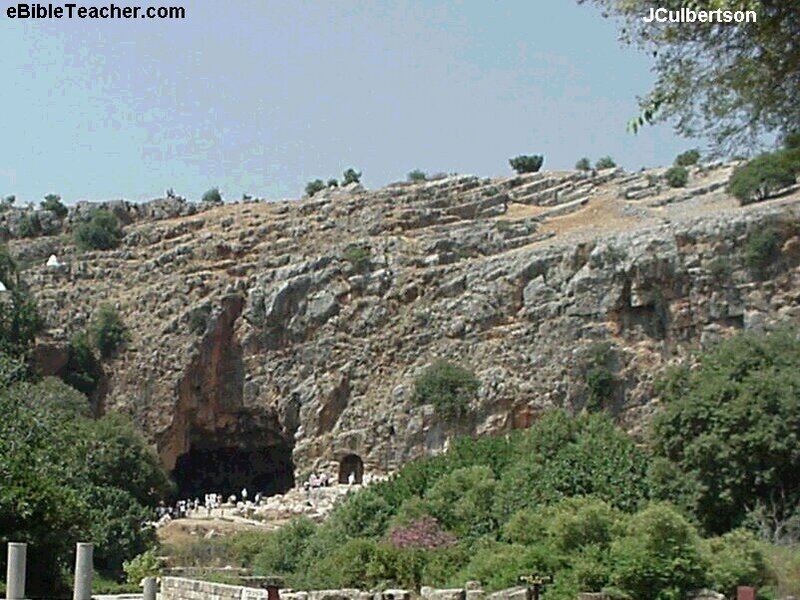 Jesus would have been at this site. 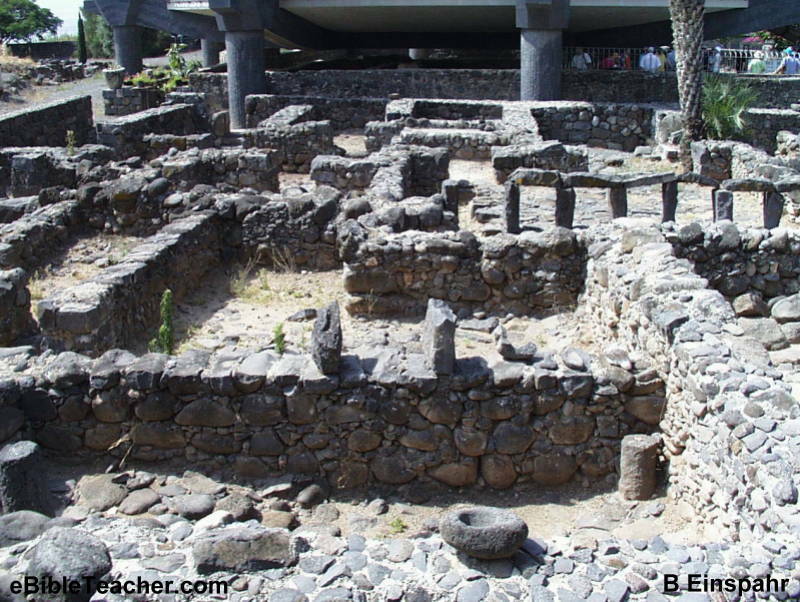 This synagogue ruin stands on the site of the synagogue in Capernaum in which Jesus lived. 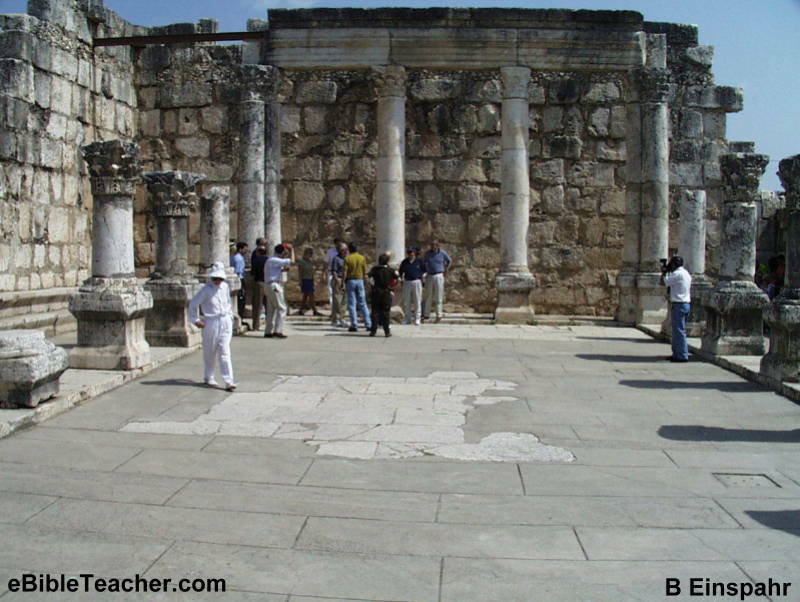 The lower darker stones of the foundation are believed to have been part of the original building there when Jesus visited. 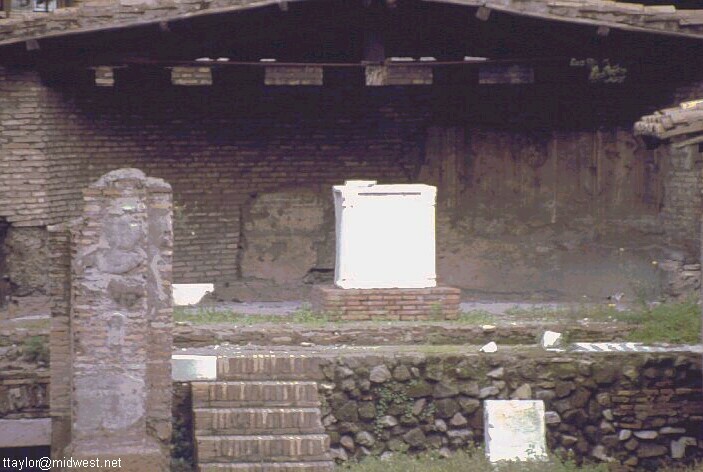 This altar is at a pagan temple in the city of Rome. 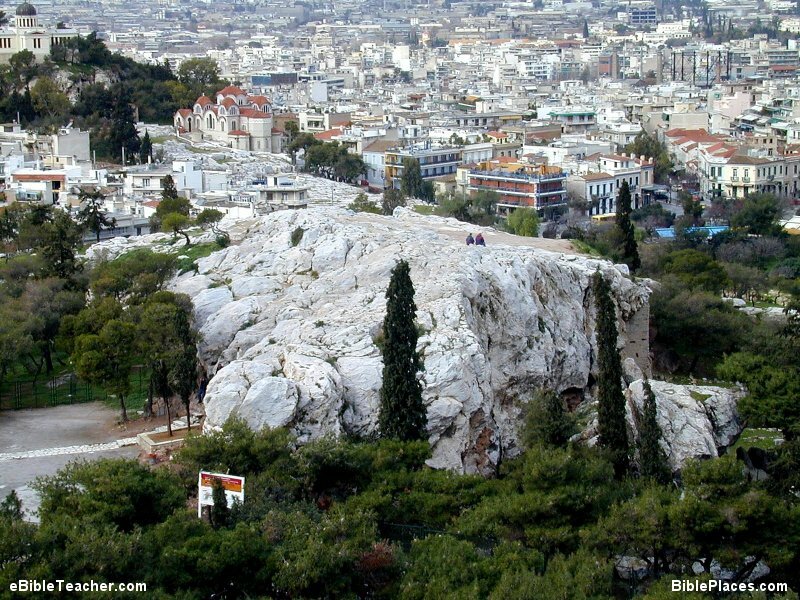 This amphitheater was the place in Athens that Paul taught in Acts chapter 17. 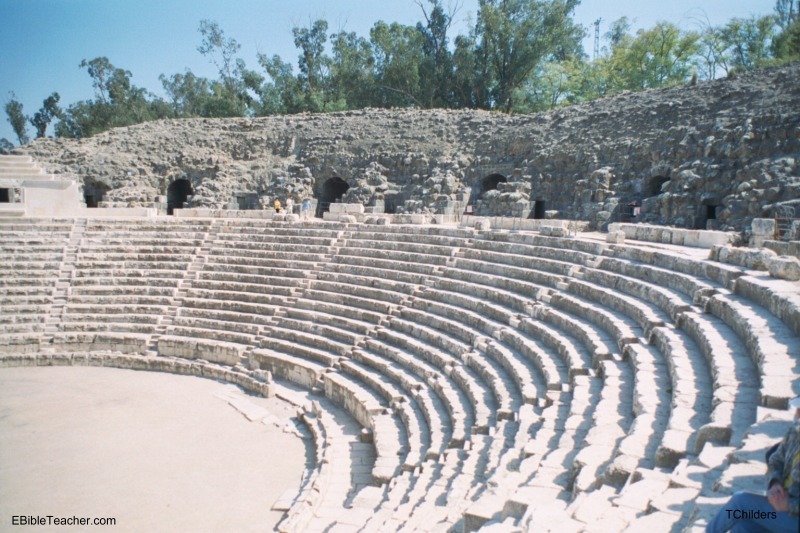 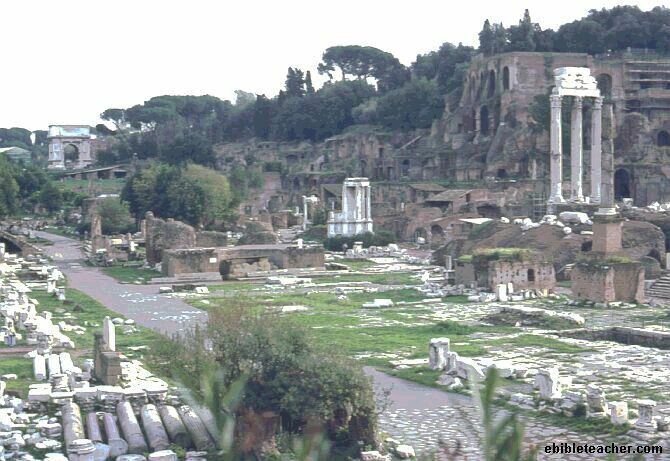 This is an example of a Roman theater. The famous Parthenon on the Acropolis in Greece. 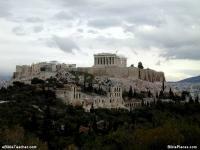 This is the famous Parthenon structure in Greece. 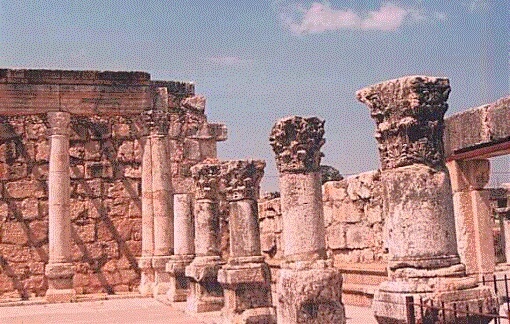 This is considered one of the finest examples of Greek Architecture and served as a Grecian Temple. 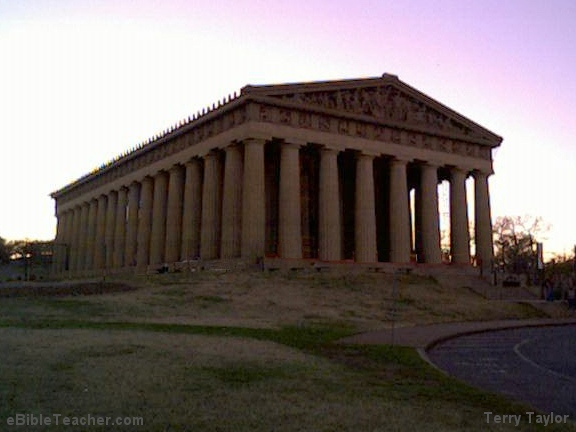 This is the recreated Parthenon in Nashville Tennessee. 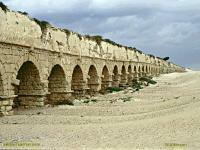 It is modeled after the Parthenon structure in Greece. 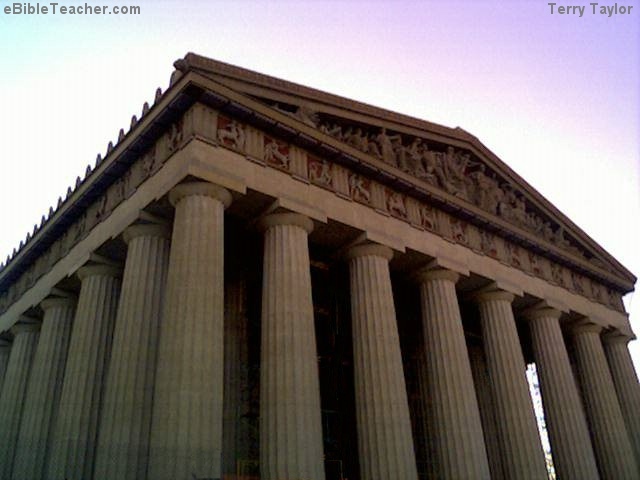 Use this recreation to get a vision of the Parthenon before it fell into ruin. This is a close up of the recreated Parthenon in Nashville Tennessee. 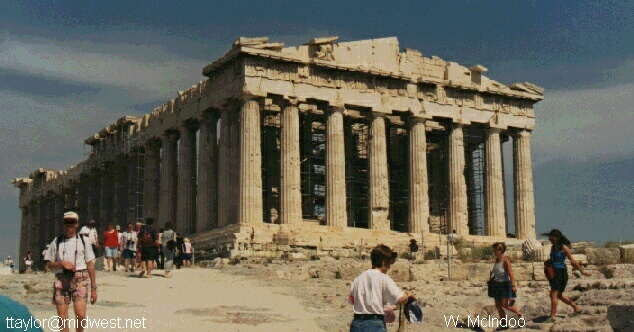 It is modeled after the Parthenon structure in Greece. 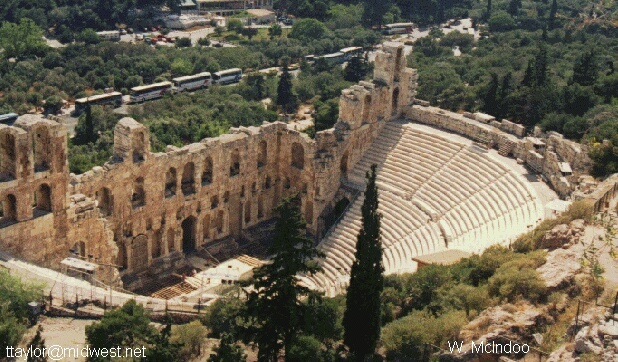 Use this recreation to get a vision of the Parthenon before it fell into ruin. This is the Mar's Hill in Greece. 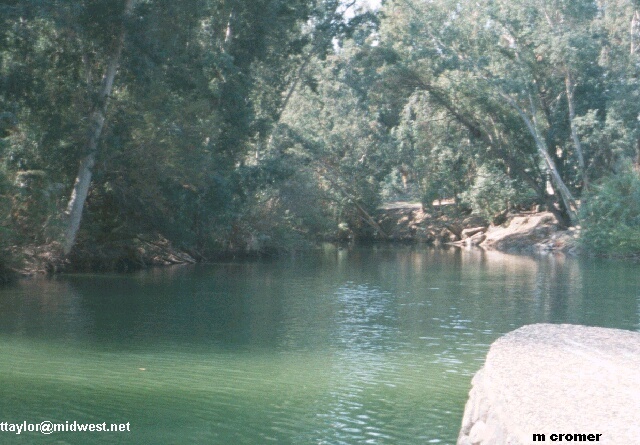 This is the Jordan river near where Jesus was said to have been baptized. 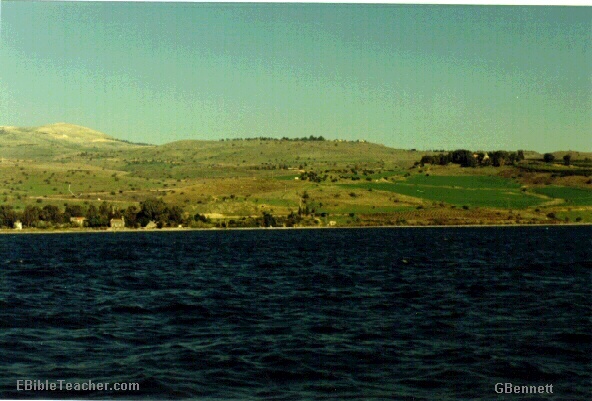 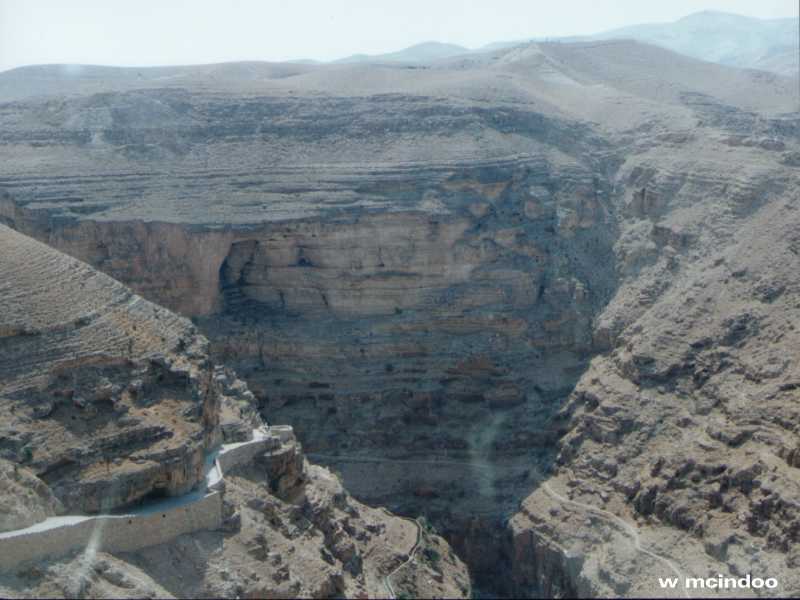 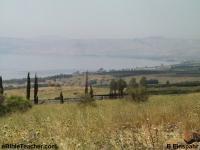 The Jordan runs from the Sea of Galilee and empties into the Dead Sea to the south. 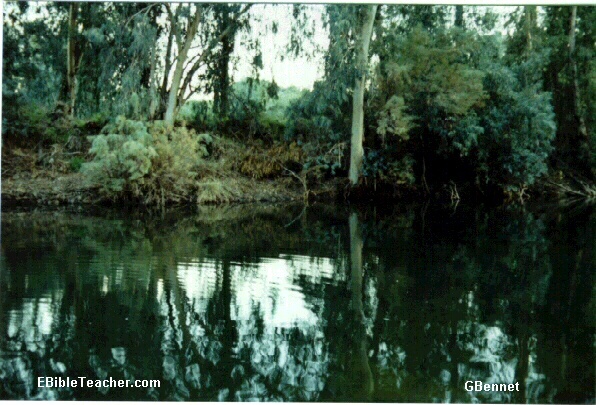 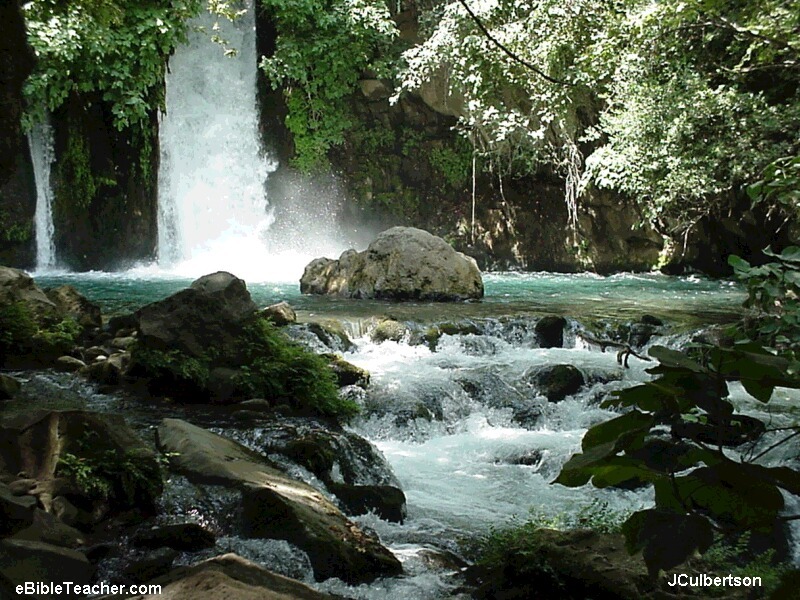 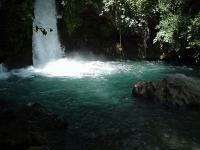 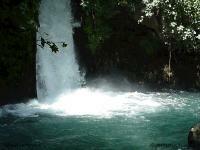 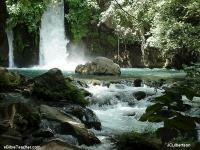 This is another picture of the Jordan river near where Jesus was said to have been baptized. 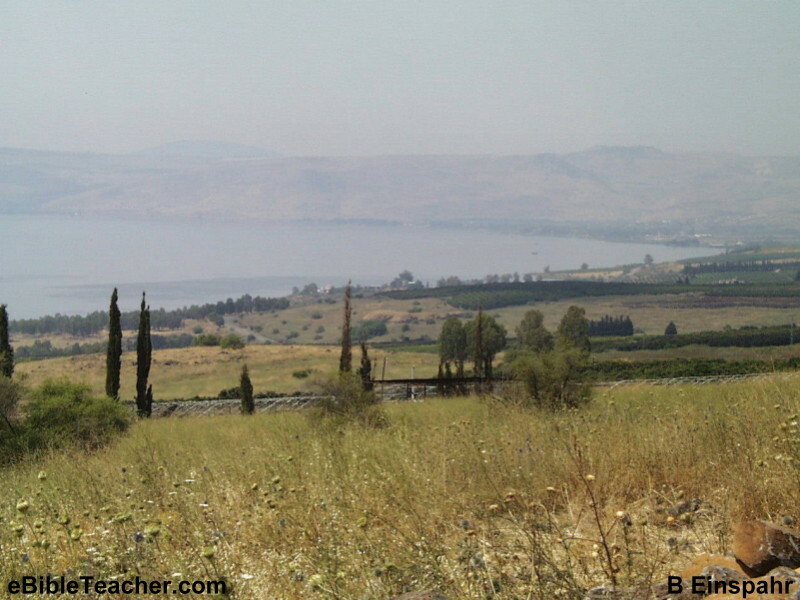 The Jordan runs from the Sea of Galilee and empties into the Dead Sea to the south. 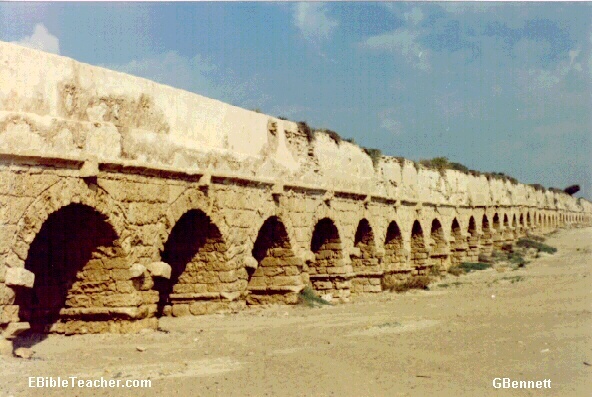 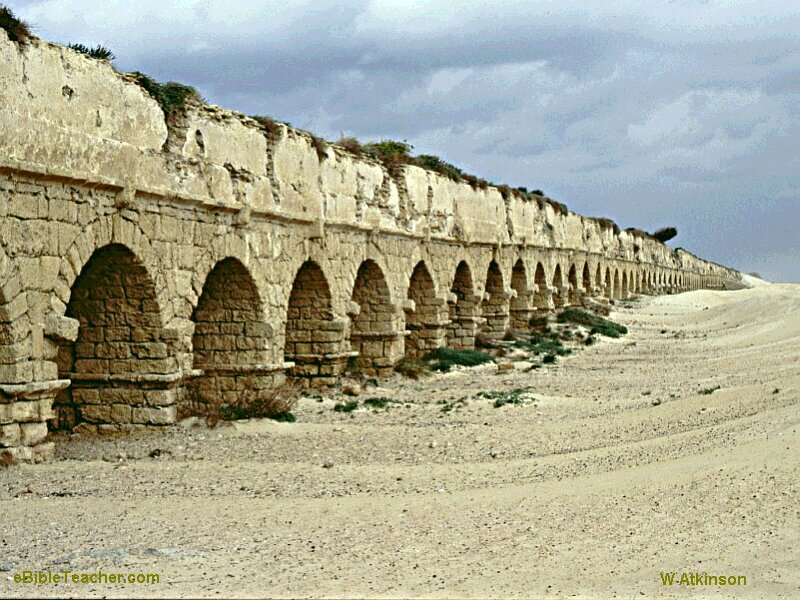 An example of the amazing engineering feats of the time, this is an aqueduct that transported water for many miles. 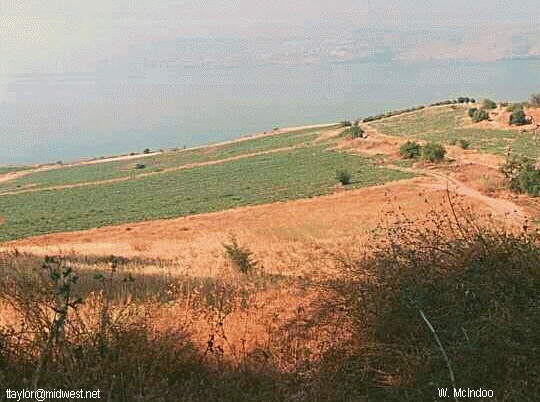 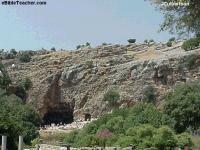 This is the traditional site of the Sermon on the Mount from Matthew 5, 6 7. 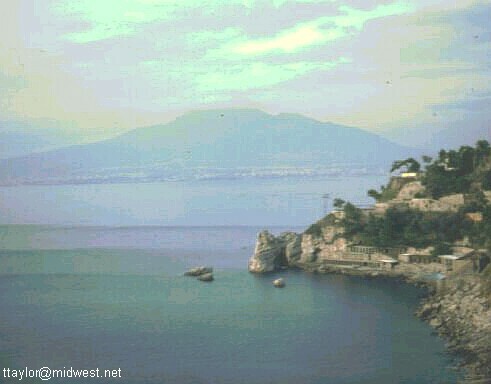 Jerry Culbertson provided many photos for this site. 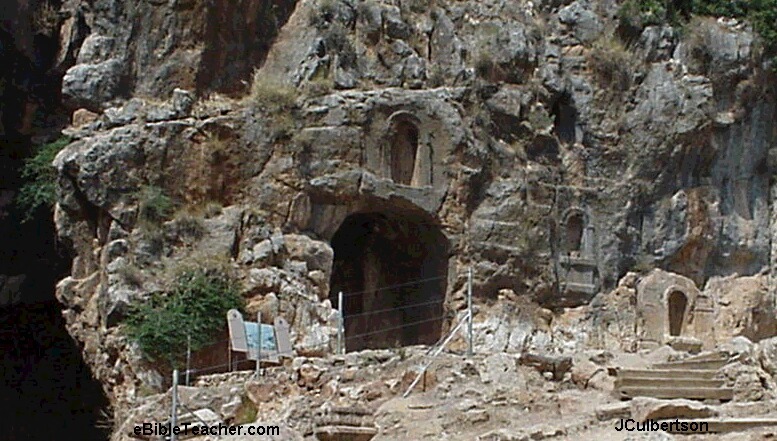 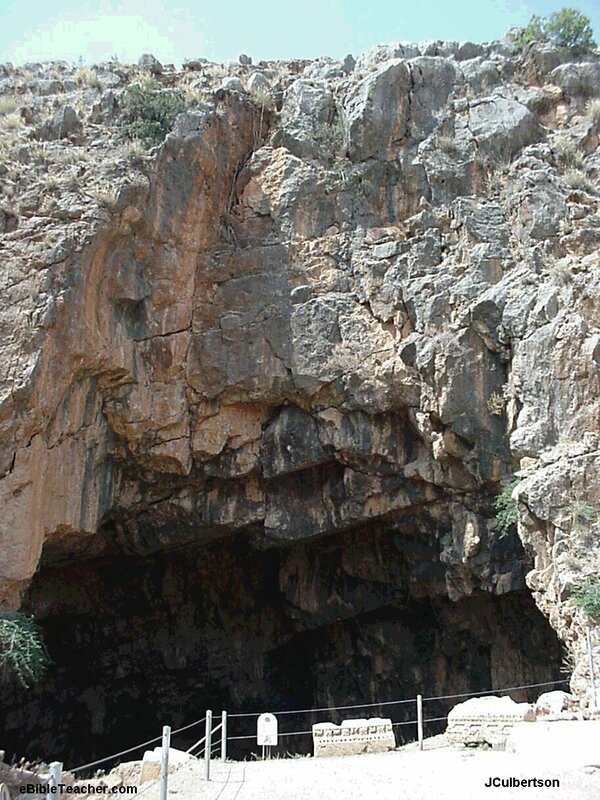 This is the shrine or temple of the mythological god "Pan" adjacent to the "Gates of Hell" described in the photos above.